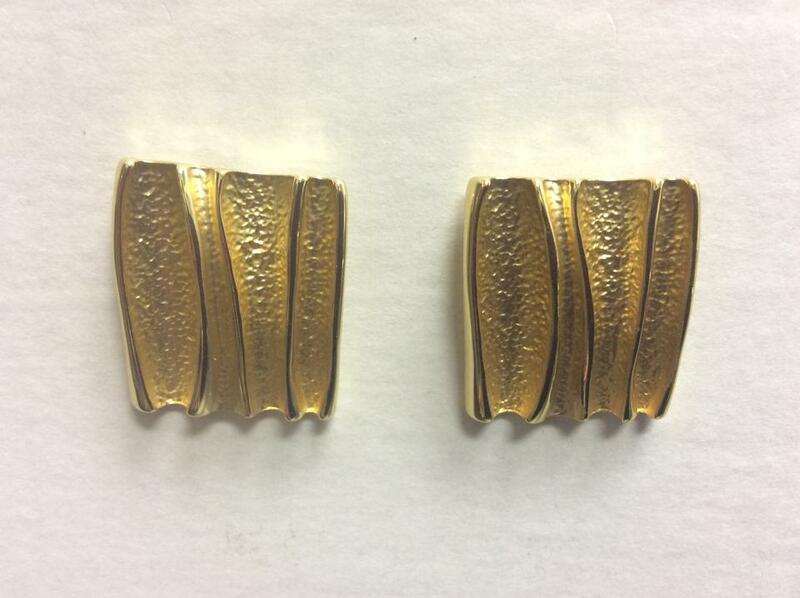 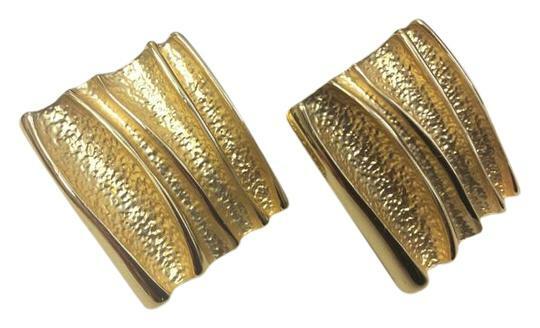 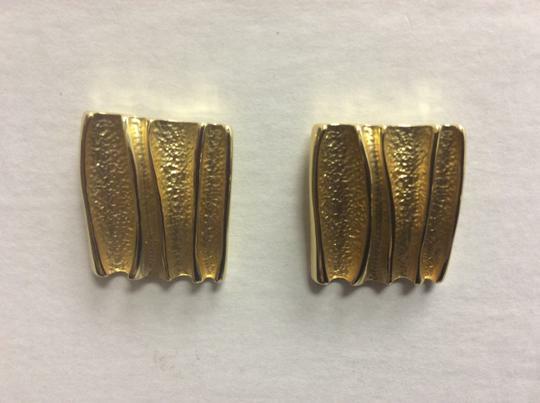 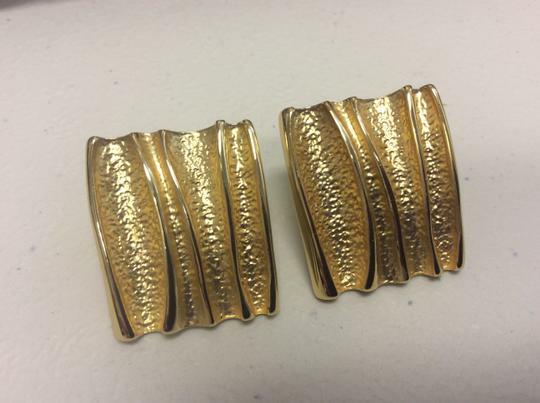 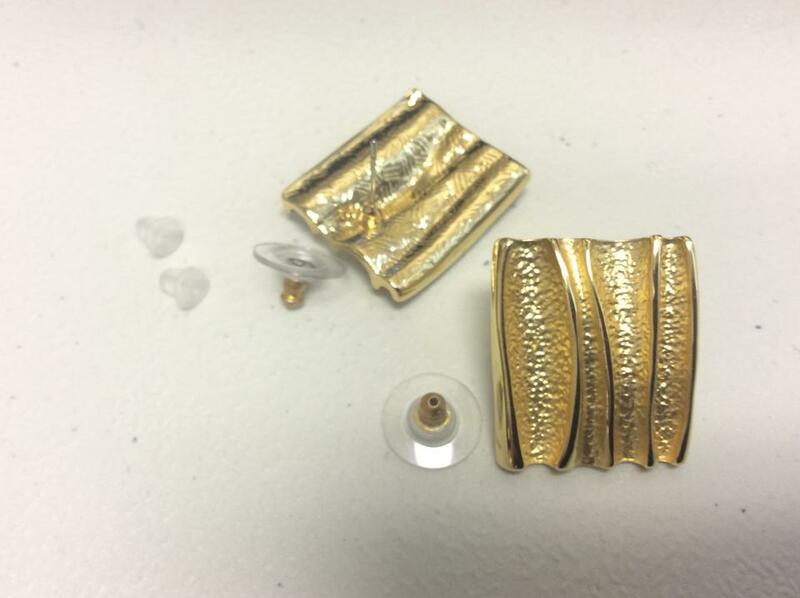 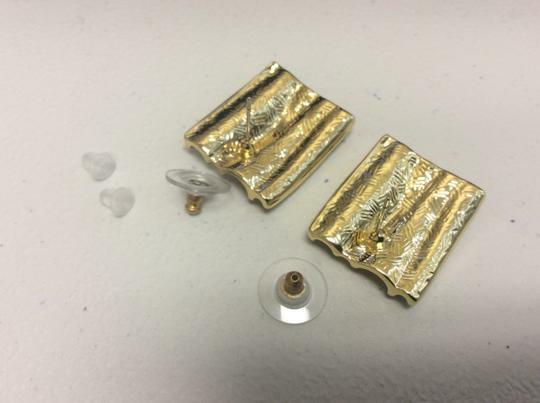 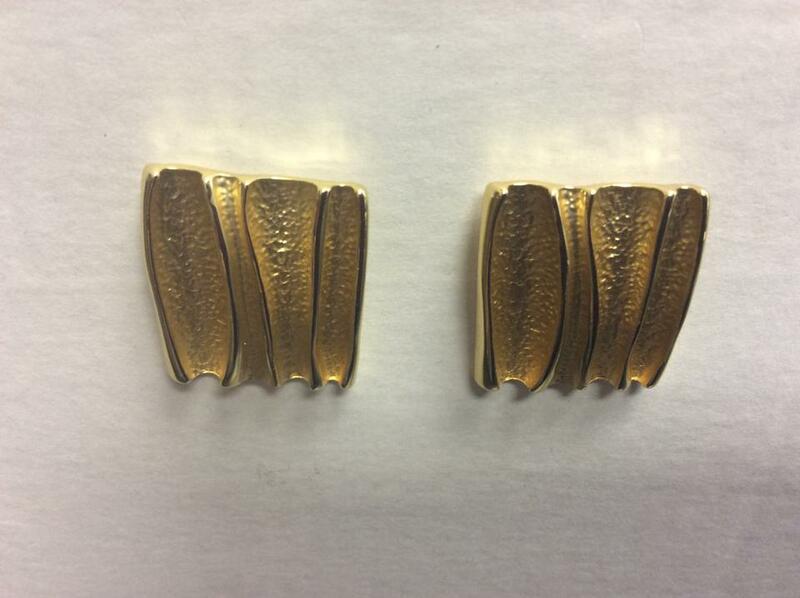 This listing is for a pair of gold electro plated earrings. 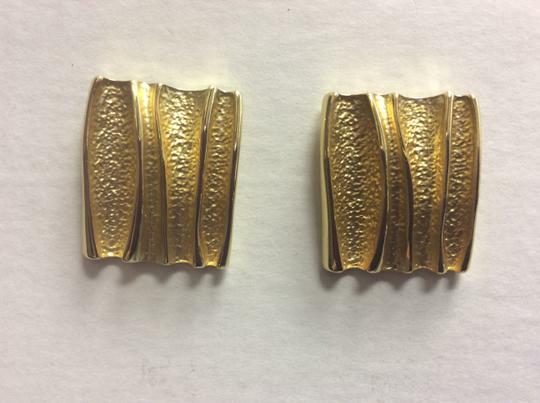 They are nice and light and measure roughly 1" square. They are an amazing gold color. These earrings will hang lower on the ear as the stud is at the top of the earring. 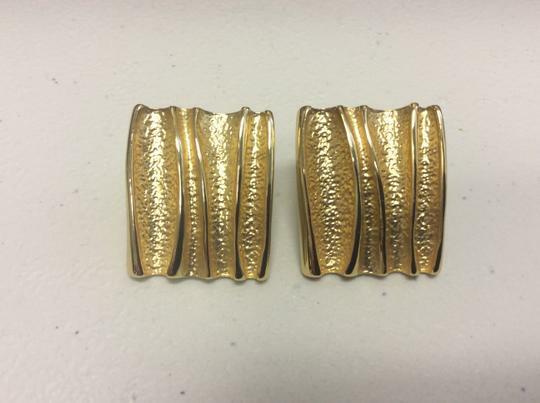 There is also a wavy texture to the top.